The prolific Kepler space telescope has had to give up its prime planet-hunting mission after engineers failed to find a fix for its hobbled pointing system. The observatory lost the second of its four reaction wheels in May, meaning it can no longer hold completely steady as it looks towards the stars. Nasa engineers have worked through a number of possible solutions but have failed to find one that will work. But it still has more than 3,500 “candidates” in its database that have yet to be fully investigated, and the vast majority of these are expected to be confirmed as planets in due course. The $600m (£395m) observatory was launched in March 2009 to try to find Earth-sized worlds orbiting their host stars in the so-called habitable zone. This is the region around a star where, given the right atmospheric conditions, temperatures would permit water to persist on a rocky surface in a liquid state. In essence, Kepler has been attempting to locate planets that have the best chance of supporting life. 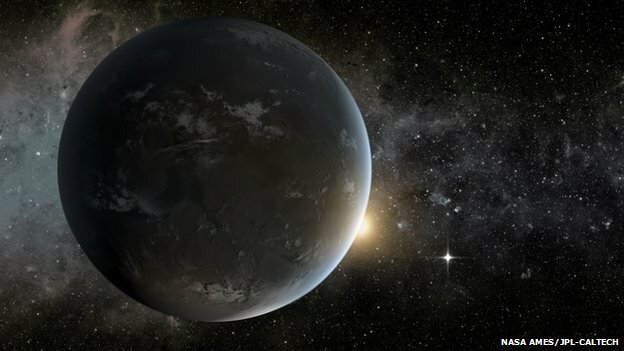 The observatory has already identified a number of “super-Earths” (worlds slightly bigger than Earth) in stars’ habitable zones, and mission scientists are confident they will soon be able to confirm the existence of further planets that enjoy even more Earth-like conditions. “What we’re looking for is a planet that’s really Earth-sized around a star just like the Sun, and that’s what we’re hoping will be in this data that we have yet to fully analyse,” explained Bill Borucki, the Kepler mission’s principal investigator. Kepler’s method of detection has involved looking for the minute dips in light as planets pass in front of their stars. It is an extremely tricky measurement to make, with the total light changing by just tiny fractions of a percent. And it has demanded Kepler be held absolutely still during these observations - something it needs a minimum of three spinning wheels to achieve. The spacecraft launched with four wheels, and experienced its first failure in the hardware set in July 2012. A second wheel then went down three months ago. Officials liken the difficulty of controlling Kepler now to that of a shopper trying to push a supermarket trolley with a jammed wheel. “The wheels are sufficiently damaged that they cannot sustain spacecraft pointing and control for any extended period of time,” confirmed Charles Sobeck, Kepler’s deputy project manager.